I’ve been such a bad blogger lately, but have lots of new updates planned so I will hopefully get on track soon with frequent posts. Anyway, this week I stepped completely out of my comfort zone and officially did something I haven’t done yet — register for a 5k! 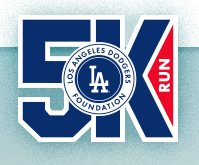 We’ve (hubby and I) been wanting to sign up for a run, but haven’t found one that we truly wanted to pay $80 to join…until I was on Facebook the other day and saw an announcement for the LA Dodgers Foundation 5K Run. 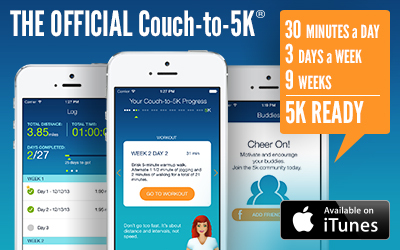 I have purchased the Couch to 5k app from Active.com, and I asked around on Twitter (find me at @BikiniCountdown) to see if it was even possible for me to go from slug to at least a jogger within the nine week program and from the feedback I received, it definitely sounds like I can do it! I am actually really excited (and a bit nervous) to start jogging, but I am ready to kick my weight loss into gear and make some changes. I’ll be blogging about my journey using the Couch to 5k app so others can read along and see if they want to give it a try. Finally, I am starting to get back into the groove with Weight Watchers — I think that everytime I move it takes me a good year cycle to slow down and just start living. That first year in a new city we go all over the place, eating at every restaurant we can find because we somehow think it’s going to close down before we can check it out. Lame! So, I’m hoping between following Points Plus and doing my daily gym routine, I’ll find myself happier and healthier when fall rolls around. If you’re interested in joining Weight Watchers, either meeting or online, be sure to use my referral link HERE to sign up. You’ll get a free gift with your membership and I will get a month free. I could definitely use some free months of membership!